“Mandatory Items: Wrap whatever suits your taste in some type of pastry and bake it.” - that sounded perfect to me… but how to make it interesting? 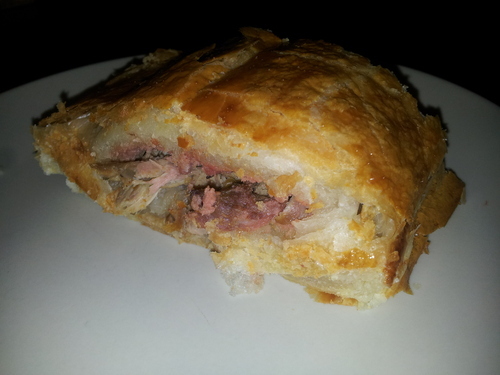 Pate En Croute is a common recipe, as is Beef Wellington but as far as I could see no one had ever made Squirrel En Croute - four ingredients or more! 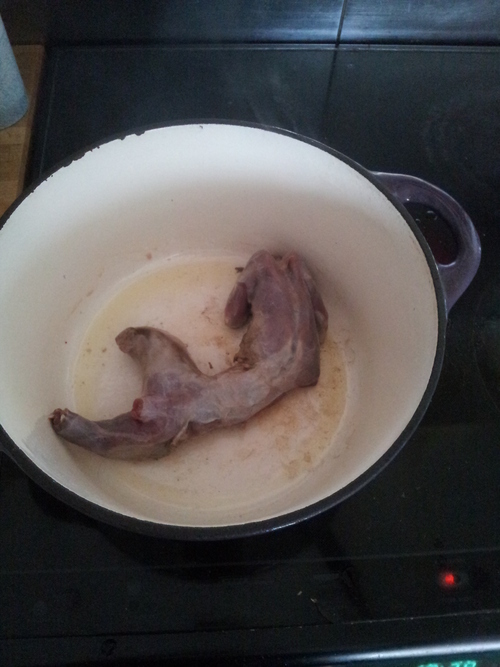 I braised and then simmered the squirrel before taking the meat off the bone. 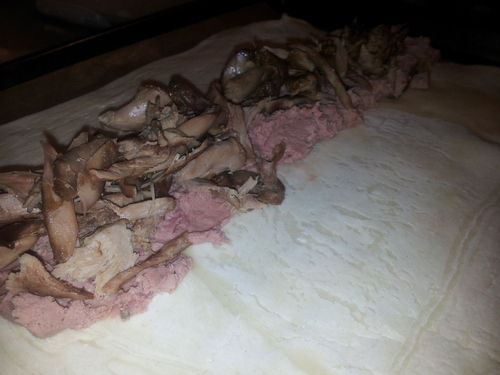 I rolled the pastry, layered on the pate and the squirrel meat and then brushed egg around the pastry. 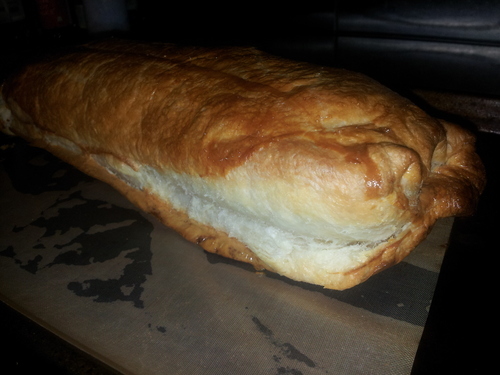 It took ages to cook but that’s because my wife informed me that I shouldn’t have used a whole pack of pastry, who knew! The end result was very tasty - the squirrel meat was moister than I expected and it all tasted pretty awesome!